The following Terms and Conditions apply to the use of this Web site as well as all transactions conducted using this site. Starting from the date of delivery, you will have 10 calendar days to open and inspect all crates/boxes. Any missing pieces must be reported during this time period, otherwise Canna Buy Depot will not be held responsible. If anything is missing. Canna Buy Depot will ship packages within 1-2 business days after your order is received and the payment has been cleared. Orders including freight shipments that are placed before 3:00pm EST will be shipped the next business day. Canna Buy Depot reserves the right to request written documentation confirming shipping address. For customers paying via Paypal, we will ship to your Paypal registered (confirmed) address as required by Paypal for sellers. If your shipment is clearly damaged during transit, refuse the package and have the driver document any and all damage to the package. Canna Buy Depot can not take responsibility for obviously damaged shipments that are accepted and signed for. For damaged, rejected shipments, Cana Buy Depot will file a claim with the carrier and ship a replacement once the damage inspection is complete. Canna Buy Depot will charge tax for items shipped to locations in California Recipients outside California shall be solely responsible for all sales taxes or other taxes. Our products are warranted to be free from defects in materials or workmanship for one year from the date of purchase (original invoice date). Within this period, Canna Buy Depot will, at its sole options, replace any components that fail in normal use. Such replacement will be made at no charge to the customer for parts or shipping. 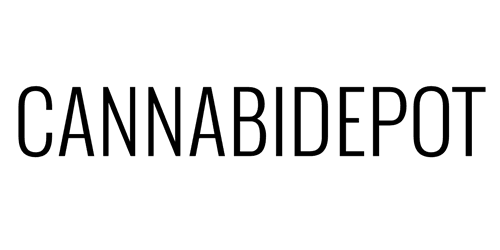 By placing an order with Canna Buy Depot either online or via phone, you indicate that you have read and agree to the following return policies. Note: Returns must meet ALL criteria. We do not accept returns for customized items. Canna Buy Depot in its sole and absolute discretion shall be the sole determiner of whether a product is in fact defective. 1. Starting from the date of delivery, you will have 10 calendar days to open and inspect all crates/boxes. Any missing pieces must be reported during this time period, otherwise Canna Buy Depot will not be held responsible. If anything is missing, please call us at 888-988-0899. 2. You have 30 calendar days from the date your shipment was delivered to get a valid return merchandise authorization (RMA) number and return the goods to the possession of Canna Buy Depot. If the item is returned during this timeframe, we will exchange it or offer a refund based upon the original payment method. For products verified to be defective, Canna Buy Depot will supply a prepaid shipping label along with an RMA number (Except for orders shipped to Alaska, Hawaii and countries outside of the US). 3. Products should be returned unused and in the original condition they were received. This includes all accessories, manuals, manufacturer’s crate/boxes, packing materials, etc. Returns received that have been used or with missing components or modifications will be refused and returned to you at your cost and without credit approval. You will be responsible to ensure adequate packaging on all return shipments. If the shipment is damaged in transit to Canna Buy Depot, you will be responsible for the loss of any non-defective items. 4. For non-defective products, a 15% restocking fee will apply and you will be responsible for the cost of the initial shipment and return shipment. For products verified to be defective, Canna Buy Depot will be responsible for your return shipment and the shipment of replacement items. For more information or to make a return please contact us.